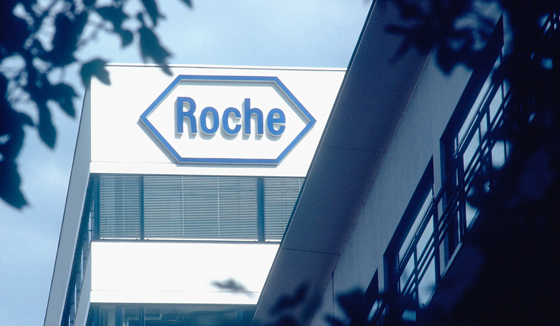 Roche’s oncology business unit chalked up two FDA approvals this week for its new ALK inhibitor Alecensa in first-line lung cancer and BRAF inhibitor Zelboraf in a rare blood cancer. Alecensa (alectinib) has been approved for second-line use after Pfizer’s Xalkori (crizotinib) in patients with ALK-positive non-small cell lung cancer (NSCLC) in the US since the end of 2015, but it can now be used in newly diagnosed patients. That allows Roche’s drug to take on Pfizer’s drug - as well as Novartis’ ALK inhibitor Zykadia (ceritinib) which was approved for first-line use in the US and Europe earlier this year - head-to-head in the market. Approval of Alecensa for front-line use in Europe is expected in the next few weeks after it was recommended by the Committee for Medicinal Products for Human Use (CHMP). The approval is based on the results of the ALEX study, which showed that Alecensa was more effective than Xalkori at improving progression-free survival (PFS), with Roche’s drug cutting the risk of disease worsening or death by 47%. The new approval will add additional momentum to Alecensa as it chases Xalkori, which has seen its growth rate slowdown in the face of the new competition (and reverse in the US) but still rose 6% to $442m in the first nine months of the year. Of the two new challengers, Alecensa seems to be gaining ground the fastest, with sales growing more than 100% to reach CHF 244m ($243m) in the same period, while Zykadia sales are no longer broken out of the ‘other oncology’ category in Novartis’ results statements. A third rival, Takeda’s brigatinib, was approved for second-line use in May. Meanwhile, Roche’s Zelboraf has become the first drug ever to be approved for Erdheim-Chester disease (ECD), a rare and deadly form of blood cancer. The US FDA has approved BRAF inhibitor Zelboraf (vemurafenib) for patients with ECD whose cancerous cells carry the BRAF V600 mutation, a group which accounts for just over half the 600 or 700 people worldwide with the disease. ECD is a slow-growing cancer that originates in the bone marrow and leads to excessive production of white blood cells know as histiocytes, which lodge in other tissues and cause multiple other tumours around the body, particularly in the heart, lungs and brain. According to the FDA, patients with ECD have “limited life expectancies”. Zelboraf has been on the market since 2011 to treat melanoma patients with the BRAF V600 mutation, but Roche’s efforts to extend its use in this cancer suffered a setback this year after a trial of the drug as an adjuvant treatment for patients with resected BRAF-mutant melanoma at high risk for recurrence failed to hit the mark.